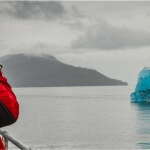 7-day Inside Passage cruises sailing roundtrip from Vancouver, B.C. 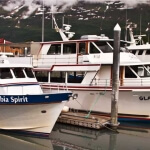 ; 7-Day Alaska Explorer cruises & 14-day Great Land Explorer cruises sailing roundtrip from Seattle; and 7-day Glacier Discovery cruises sailing between Vancouver and Seward/Anchorage that you can also extend up into Alaska & the Yukon on a Land+Sea Journey. 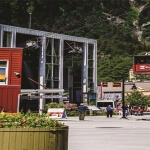 First in Alaska, Holland America has been showing guests the Great Land for almost 70 years and offers more Glacier Bay visits than any other cruise line, and both a National Park ranger and a Native cultural and historical interpreter are aboard to narrate as the ship navigates amidst 16 tidewater glaciers.